Items Of Personal Nature Like Porterage, Tips, Laundry And Mineral Water. International / Domestic Flight & Visa Fee. All Other Items And Services Not Mentioned Above. 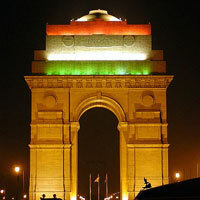 Arrive Delhi and meet the representative at the arrival hall and transfer to the hotel for check-in. Overnight at the hotel. Morning proceed for sightseeing tour of Old Delhi. On your visit to Old Delhi, we will take you to the Red Fort, Jama Masjid and Rajghat. Post visit drive to Jaipur (approx 265kms / 5 hours). Upon arrival check in at the hotel. Overnight at the hotel. Morning excursion to Amber fort. Make your ascend to the palace fortress on the gaily caparisoned elephant back. Tour the chambers and hallways of the Palace which are famous for the excellence of their design and decoration. Afternoon visit Jantar Mantar - Observatory, which was built in 1700's, yet even today still looks futuristic or almost surrealistic, the city Palace and the museum, the Hawa Mahal or the Palace of Winds. Overnight at the hotel. Morning drive to Agra (approx on 255kms / 5 hours) enroute visiting Fatehpur Sikri -a deserted, phantom city. The inner citadel is immaculately preserved. Its walls, palaces, baths, royal courts and gardens still stand in splendid homage to a great visionary and builder. Upon arrival check in at the hotel. Afternoon Red fort and world famous Taj Mahal. Overnight at the hotel. Morning transfer to Agra railway station to board train for Jhansi. Meeting upon arrival at Jhansi railway station and drive to Khajuraho (approx 175kms / 4 hours) enroute visiting Orchha temples. Upon arrival in Khajuraho check in at the hotel. Overnight at the hotel. Morning visit the world famous 9th to 12th century Khajuraho temples. Late afternoon drive to Satna railway station to board train for Varanasi. Overnight on the board. Early morning arrival in Varanasi and transfer to the hotel for check-in. Post breakfast proceed for a panoramic city sightseeing tour of Varanasi including tour to Sarnath, the site of Lord Buddha's first sermon after attaining enlightenment. At Sarnath we meet many Buddhist monks and followers before visiting local homes to see in-home silk weaving and soak up some local customs, culture and hospitality. Evening witness Aarti ceremony at ghats. Overnight at the hotel. In the morning arrival at Delhi railway station transfers to the hotel for wash & change. 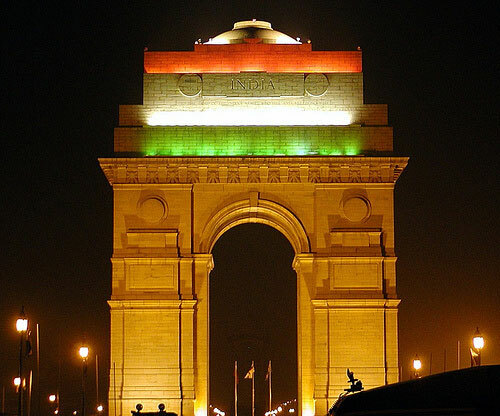 Later proceed for sightseeing tour of New Delhi including drive through the prestigious streets of the Diplomatic Enclave and then on to India Gate, Rashtrapati Bhawan (President's House) and Humayun’s Tomb. Finally your tour ends after visiting the Qutub Minar. Late night departure to International airport to connect your flight for onward destination. Company Will Not Be Responsible For Any Loss / Damage Of Baggage, Train / Flight Delay Or Cancellations Due To Technical Fault Or Natural Disasters, Road Blockage, Strike, Land Slide, Etc.